What is our bicycle library? 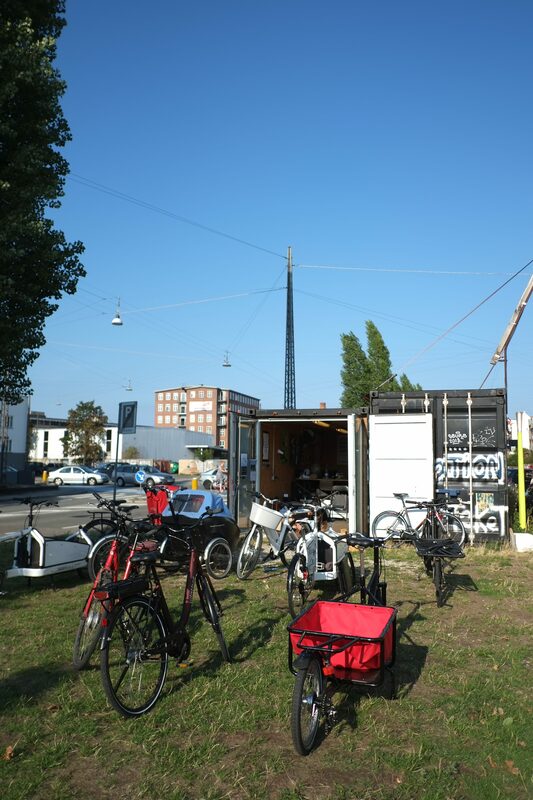 The bicycle library represents a viable alternative to cars. 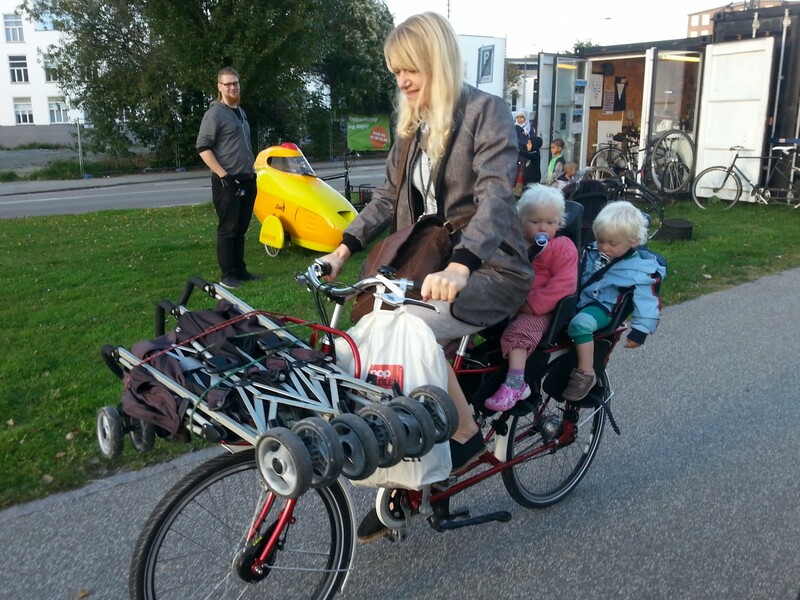 These are bicycles that easily carry heavy bulky loads (cargo bikes) and effortlessly travel long distances quickly (e-bikes and road/racer bikes) or combine well with public transport (folding bikes). Through the bicycle library, people can learn and experience the full potential of the ‘bicycle library’ bikes and the transformative effect they have for both transport & life mobility! 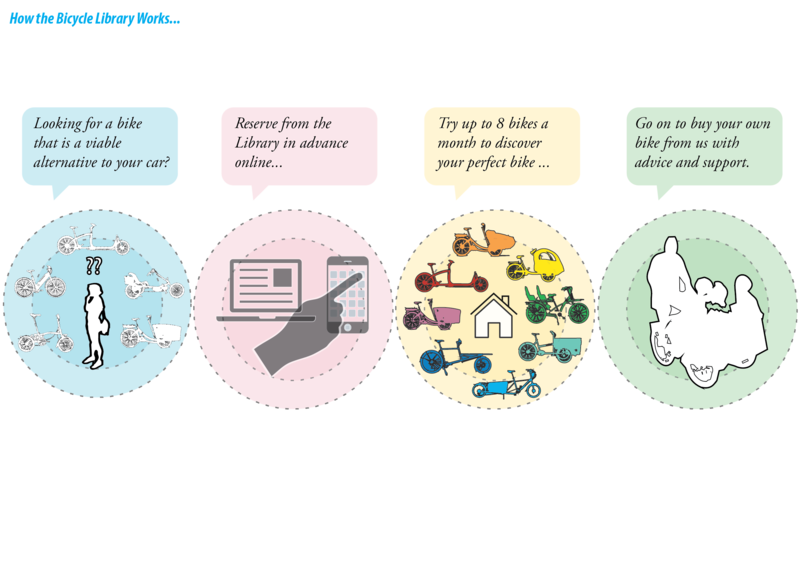 Members can borrow, live with, and compare our bicycle library bikes over several weeks and then also go onto buy the same bike or similar ones through the Bicycle Innovation Lab. If you decide you want to go on to buy a bike, we can order it in for you. We have dealerships with over 30 bicycle suppliers. From our experience and research, the bicycle library is very effective at helping people realise the potential and need for investing in specialist bikes. With more expensive bikes, most people want to thoroughly test and compare them, and through trying out a specialist bike for a longer period of time realise its potential and decide they can’t live without it, as was the case with Mette who found her perfect bike. Bicycles are booked through our website in the bike library booking system. Members can borrow a bike on Monday or Thursday between 18 and 19, for up to a week. Bicycles must be returned on the due date between 15 and 18. 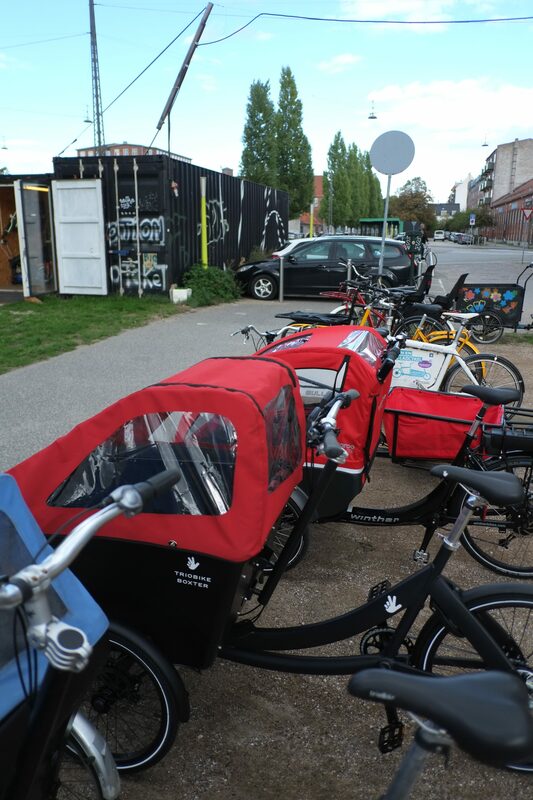 In 2011 we set up Denmark’s first bicycle library, as a central project of the Bicycle Innovation Lab, to give citizens the opportunity to experience the joy and variety of unusual specialist bikes including recumbent bicycles, tall bikes, tandems etc. 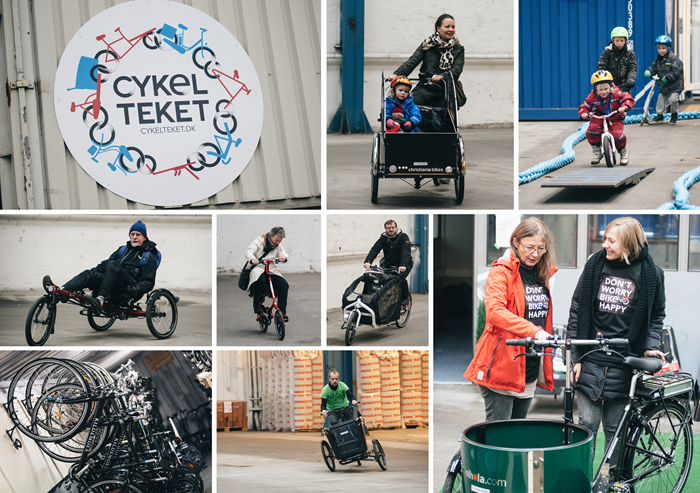 In 2014, we partnered with Helsingør Municipality to create Denmark’s first municipality run bicycle library – Cykelteket – with over 50 specialist bicycles. We were involved in everything from selecting the bikes to designing the website and layout of the bicycle library. What we need more of is at the top, what we need much less of is at the bottom. 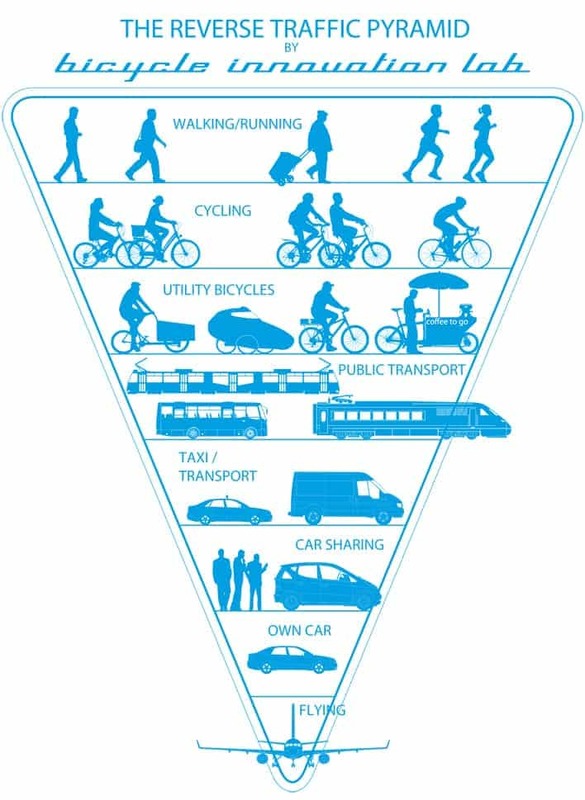 The top represents the cheapest, healthiest AND the smallest CO2 consuming mode of personal transport. Within cycling, we have identified ‘normal bicycles’ and ‘utility bicycles’. In Bicycle Innovation Lab we believe that there is big growth potential in the ‘utility bicycle’ segment.